I love chicken wings! I spent my early 20s on a strict diet of chicken wings and draft beer at the pub, lol. I wanted to find a way to get that crispy goodness of a good pub chicken wing with out deep-frying the heck out of it and think I came across something pretty good. 4. Line baking dish with tinfoil and drizzle olive oil over surface. 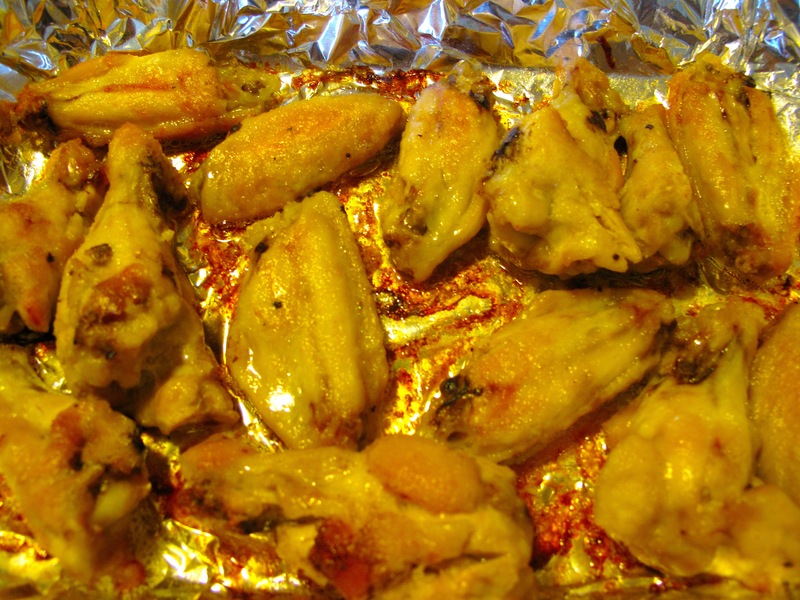 Lay chicken wings in dish and lightly drizzle olive oil over them. 5. Bake in oven @ 425º for 30 minutes. Flip and bake for 15 minutes more. 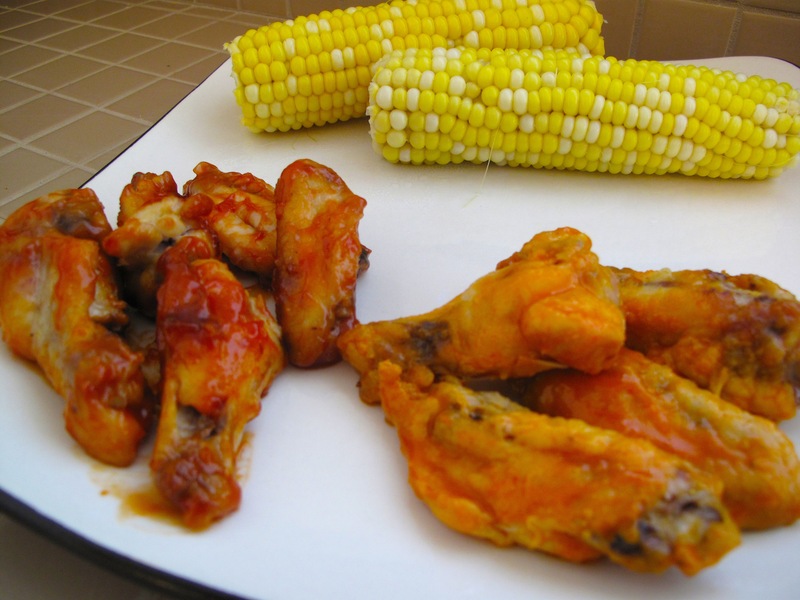 This entry was posted in Chicken, Mains and tagged baked, chicken wings, crispy, oven, Recipes by Karina. Bookmark the permalink.